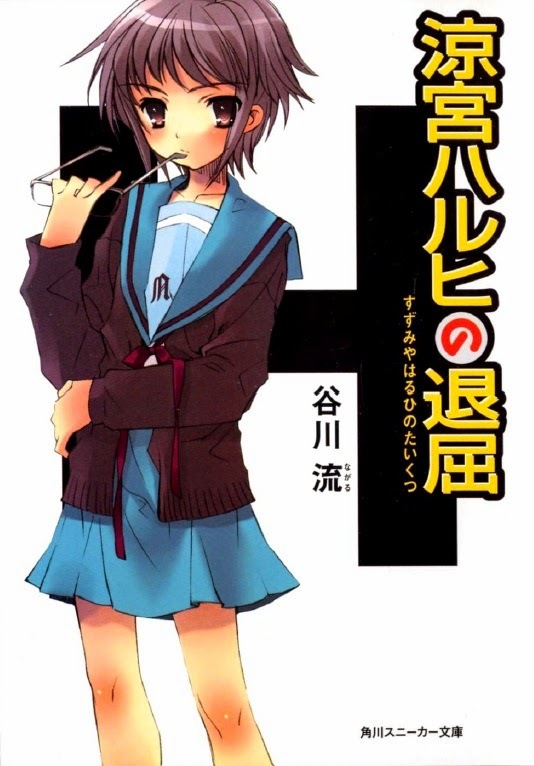 Haruhi has a very bothersome habit: whenever her mind is not filled with happy thoughts, she starts thinking up ideas that make you want to laugh and cry at the same time. Anyway, she just cannot endure sitting still and doing nothing. She is just that kind of person. Whenever she has nothing to do, she will go and find something to do. This will usually be something absurd. From my personal experiences, whenever Haruhi says something, the rest of us will not be able to enjoy our peaceful days. Perhaps those good old days will never come back. What a troublesome person. It doesn't matter if the result is good or bad, as long as her life is not boring. That's Suzumiya Haruhi for you.